The Soldier series has its strong roots in Army colored styles. 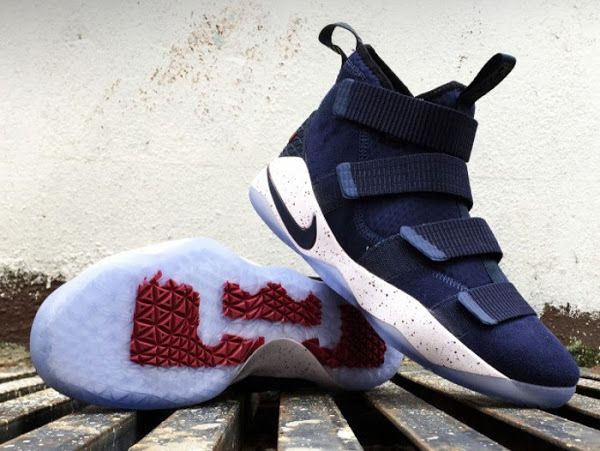 LeBron James has never shied away from this reference, which was evident last year during his trip to China. 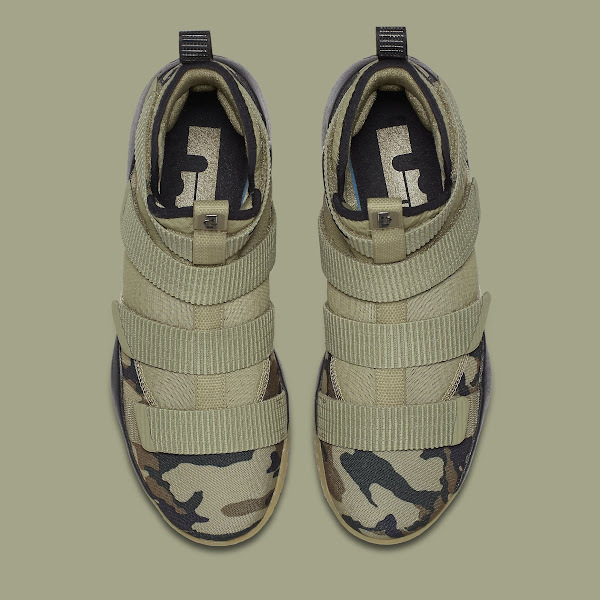 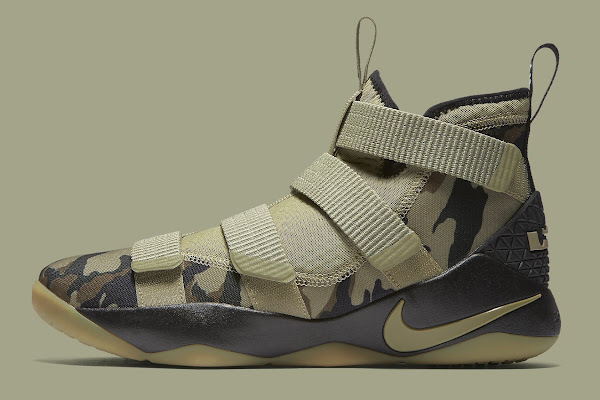 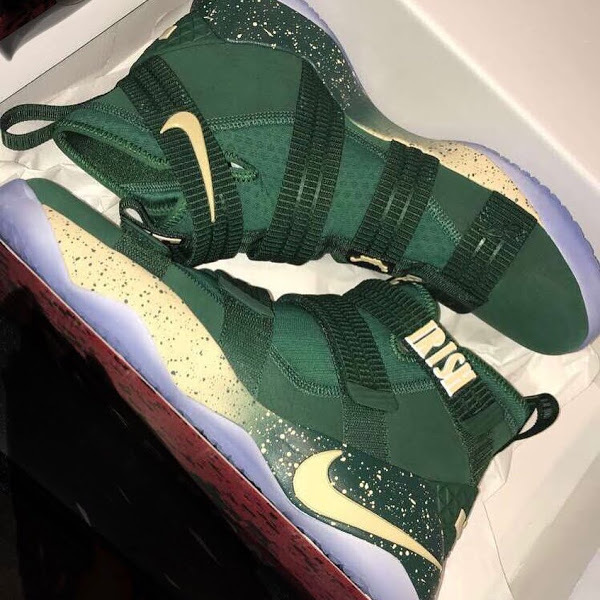 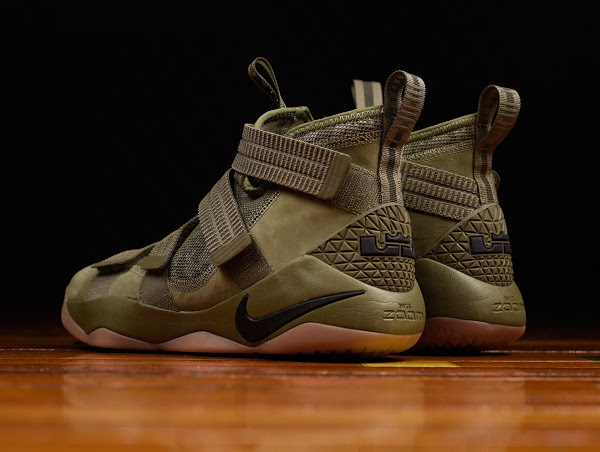 This week Nike added a Camouflage version of the Nike LeBron Soldier XI. 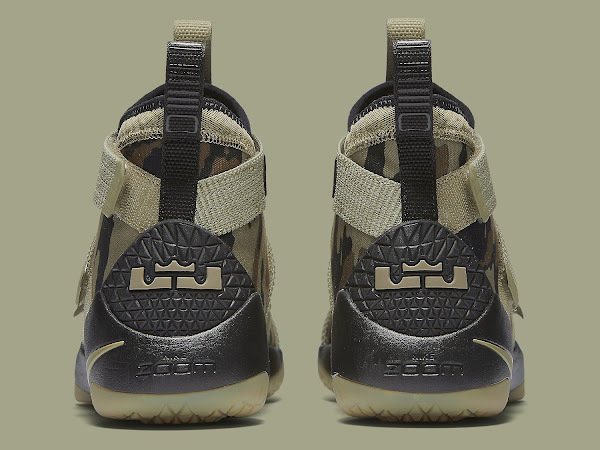 It’s a mix of Olive and Black with a tri-colored Camo overlay. 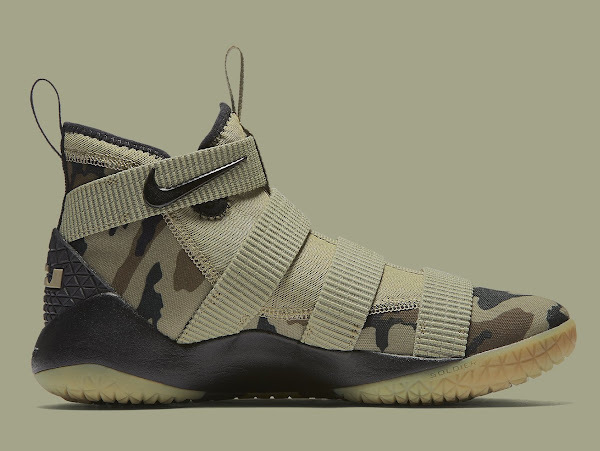 Nike went back to using the Camo option two years ago with the Soldier 9, last season with the Soldier 10, and now the tradition continues with the Soldier 11. 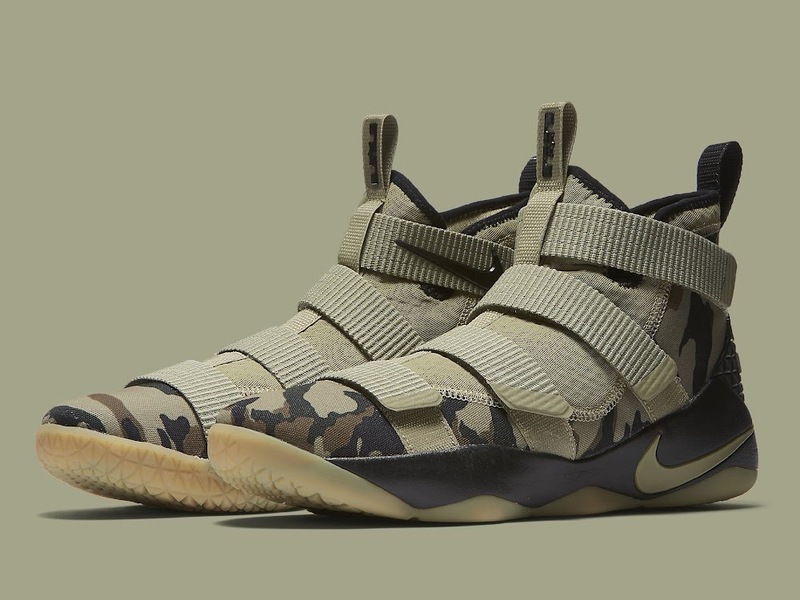 The “Camo” Soldier 11 is available now at Nike Basketball retailers for $130… just in time for upcoming Veteran’s Day. 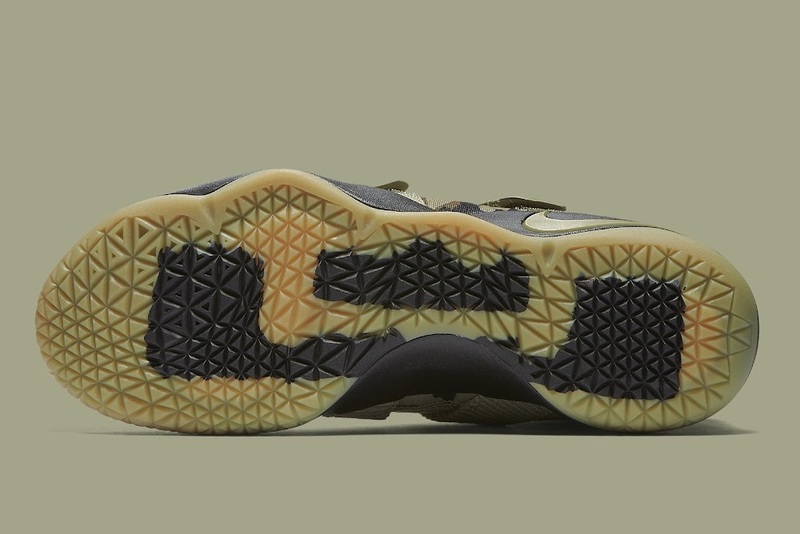 It’s already the 17th colorway! 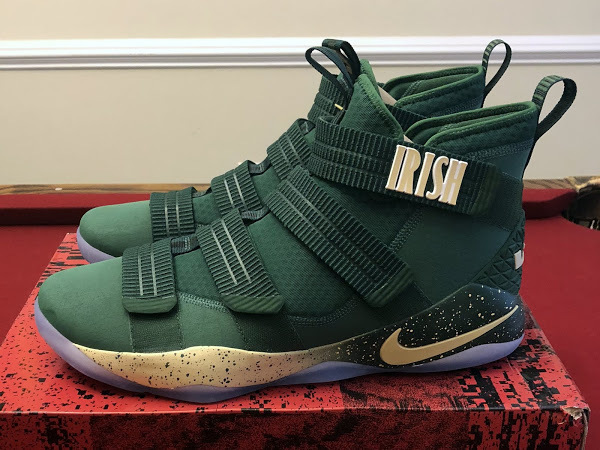 (not including the Team Bank options). 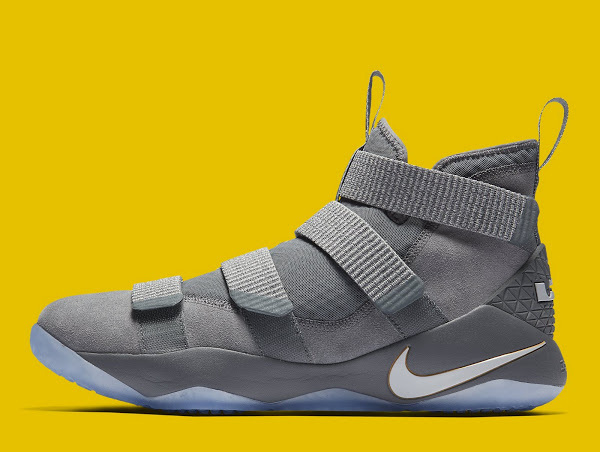 You can find the list of all released Soldier 11s here.